Description. ThumbsDbViewer36.exe, Uninstall program and Manual files in self extractable archive (English, German, Russian and French interface). How to install the program. Just run self extractable archive tdv36demo.exe. Description. 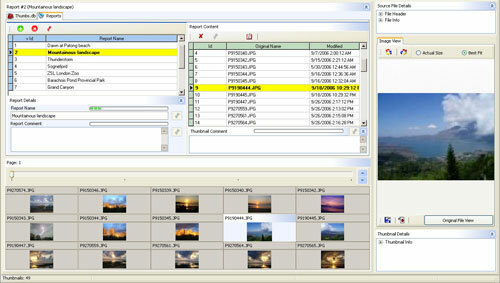 ThumbsDbViewer36Pro.exe, Uninstall program and Manual files in self extractable archive (English, German, Russian and French interface). How to install the program. Just run self extractable archive tdv36pro_demo.exe. Description.Insider.exe for Windows with Brief Tutorial .pdf file and demo pics in self extractable archive. How to install the program. Just run self extractable archive. Description. ViewPoint.exe with demo pics for WinXP/2003 in self extractable archive. How to install and uninstall the program. There is no special task to install. Just run self extractable archive. Program does not use saved configuration, so it does not write any INI files nor the registry. To uninstall program, just delete all files and you're done. Description. ViewPoint.exe with DLL file for Win98/ME/2000 in self extractable archive. How to install and uninstall the program. Just run self extractable archive. Program does not use saved configuration, so it does not write any INI files nor the registry. To uninstall program, just delete all files and you're done. Description. Demo pics in self extractable archive. "Total Recall". Free Version (for WinXP/2003). Description. TotalRecall.exe for WinXP/2003 in self extractable archive. "Total Recall". Free Version (for Win98/ME/2000). Description. TotalRecall.exe for Win98/ME/2000 in self extractable archive.